Today the Future Party is announcing the “Fund our Future: Rally for Research” campaign to encourage increased funding of Australia’s research institutions. The government’s drastic cuts to funding will damage Australia’s academic research sector. The campaign will include a petition and will culminate in a rally on the 3rd of May in the lead up to the budget announcement. A lack of current activity among our WA membership, who would need to form the backbone of any campaign on the ground. The difficulty of finding, vetting and pre-selecting candidates within the given time frame. The diversion of time, money and attention from our efforts: building up the party’s grass roots presence nationally; campaigning on critical federal issues, such as the NBN and research funding cuts; and preparing for the upcoming NSW state election. The large number of small parties likely to contest the election, adding to the difficulty of success, and requiring an emphasis on tactical preference negotiations over engaging with the electorate on policy. “Measuring the value of the NBN simply using only sales revenue does not adequately capture how significant the NBN will be to economic growth of our country.” said the Future Party’s communications officer and report co-author, Kate Kilgannon. Dr Tony Recsei recently wrote that resistance to high rise development is not simply about NIMBYism. I am guilty of regularly applying the term NIMBY. The reason I use it is that there appears to be a sense of entitlement surrounding the nature of the city. Specifically, this entitlement resides in those who are lucky enough own a home who believe that the city should remain the same as it was when they handed over their deposit. 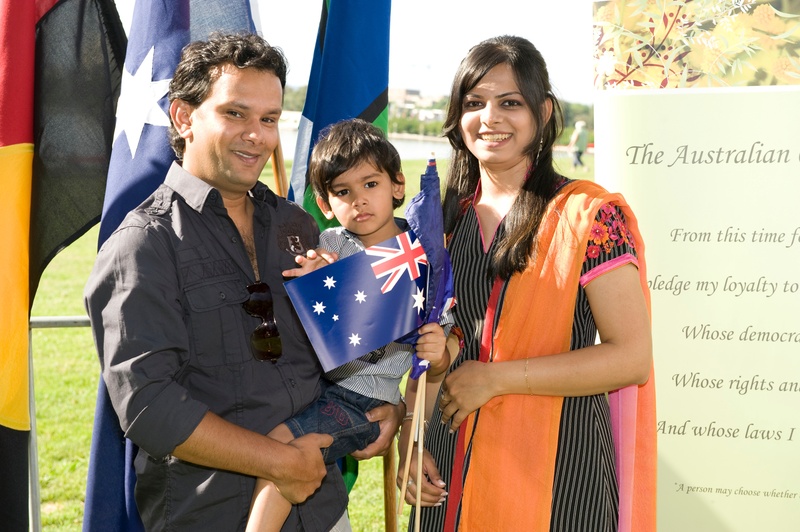 Today we mark our national day of national celebration, Australia Day. There is certainly a lot to celebrate. We have a long history of stable, functional liberal democracy. We are peaceful, prosperous, and, as our anthem proclaims, “young and free”. As a nation we enjoy the type of ongoing progress that makes all our lives better – scientific, technological, social and political. However, this is also a difficult occasion to celebrate with untempered enthusiasm. For of course, it is the anniversary of British settlement – that is to say, the day the First Fleet arrived and forcefully took possession of this continent from its native people. Indigenous activists have every reason to prefer to call it “Invasion Day”, as it was indeed an armed invasion. Sadly, until very recently in our history, even this simple fact was not acknowledged; possession was claimed by the Crown neither by conquest nor a negotiated treaty, but the doctrine of Terra Nullius. Essentially, this was legal pretence that the land was uninhabited, that the previous owners simply did not exist. The forceful conquest together with the refusal to acknowledge it as such was a deep and tragic injustice, and its effects are still felt to this day in the ongoing dislocation and marginalisation suffered by Indigenous Australians. The recent media attention on the tragic cases of Thomas Kelly and Daniel Christie has forced NSW to finally introspect and think about violence that we see directed towards young men and women. This is welcome, but unfortunately the response of the politicians in this state has been completely wrong. The Federal Government has released a report on the state of the National Broadband Network (NBN). In particular, the report discusses the possibility of budget blowouts, and a failure to meet the deadlines promised by the Coalition. The new proposal to bring the NBN under budget will use pre-existing cable TV networks to provide connections. This means slower speeds for people covered by the NBN, while many apartments will not even be connected to the NBN. Contribute to this response: feedback@futureparty.org.au The Future Party wants to respond to this. We want members to read the report’s executive summary (and the rest of the document if possible) so we can get firm ideas for a response to the proposed reduction in the quality of the NBN. Submissions close 31st of January 2014. We see technology as an important aspect of Australia’s success in the future, and we hope that you can help us to represent your thoughts and ideas about the NBN to the government. We would love to hear your critical appraisal on the Facebook page or at our monthly meeting in Sydney on the 15th Jan 2014. Please come along to talk about the next steps. Many of you have joined us on Facebook to engage in heated debates over various controversial issues. If you’re in Sydney and would like to continue these discussions face-to-face, we meet every month on the 3rd Wednesday for our members meetings. The Future Party is publicly releasing its submission on the Minerals Resource Rent Tax Repeal and Other Measures Bill 2013 (MRRT Repeal) today. The submission focuses on the impact that the repeal will have on the incomes of the poorest in our country. The Future Party today announced their 20/20 vision report – a plan to have a total net migration intake of 20 million people over the next 20 years to guarantee Australia’s future prosperity. The plan is built on the back of modelling results that show a demographic crisis will occur within 20 years without an immediate change to immigration policy.